Other than the small matter of it not making phone calls, what’s the difference between the iPhone 6 and the sixth-generation iPod touch that Apple released last week? That’s the question iFixit tried to answer with its teardown of Apple’s newest music player. The devices share the same A8 processor and M8 coprocessor, although the iPod touch doesn’t have a Touch ID sensor and uses a smaller display. One of the biggest differences is the 8-megapixel camera which, while packing the same pixel count as the iPhone 6, lacks the sapphire crystal lens cover and image stabilization of those handsets — as well as having a slightly slower f/2.4 iris. As is common with Apple devices, the iPod touch is not the most easily repairable device, but iFixit gives it a slightly higher repairability score (4/10) than previous iPod touches. That’s thanks to the addition of the peel-to-remove battery adhesive used on the iPhone 6 and 6 Plus. 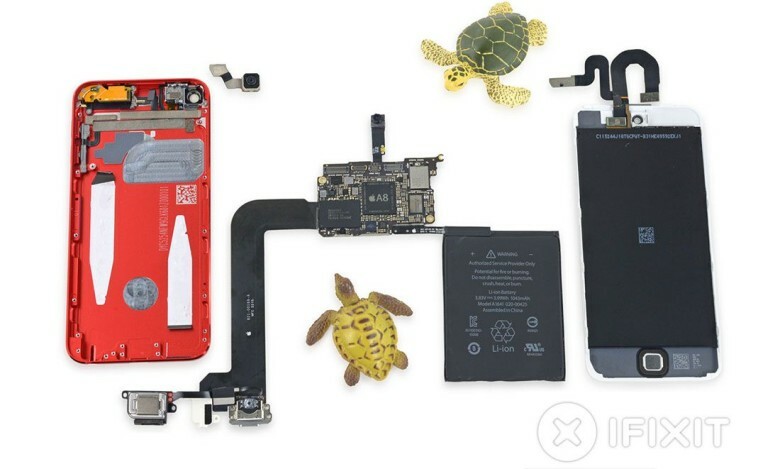 There are plenty more technical details if you want to delve into them in iFixit’s full report.